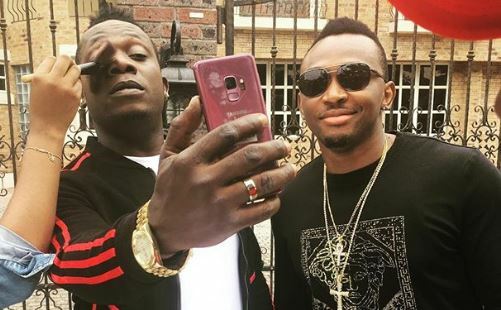 At the moment, Duncan Mighty is arguably the most sought-after singer on the Nigerian music scene. Ever since he stepped back into the limelight with ‘Fake Love’, his collaboration with Wizkid, the ‘Obianuju’ singer has sparked multiple conversations on social media for his welcomed musical offerings. After Wizkid, Mighty’s next big collaboration was with Tiwa Savage on ‘Lova Lova’, and his delivery did not fall short of expectation. Now, R&B duo, Bracket, are set to make a return to the airwaves with their own Mighty collaboration titled ‘Chinelo’. Bracket, made up of Obumneme Ali and Nwachukwu Ozioko, said they have been off the music scene due to touring commitments. When asked, in an interview with Hip TV, if they are working with Mighty because of his current appeal, the ‘Yori Yori’ singers said, “we’ve been planning it forever. It’s been forever”. They said: “The first time we met Duncan in Port Harcourt, he told us that one thing he remembers about us is that melody and that is exactly what he has. “He is a producer too. Duncan is a complete musician. “So we’ve been back and forth saying we need to do something but at the end of the day we decided to do it this month. Bracket is expected to release a new album in 2019.